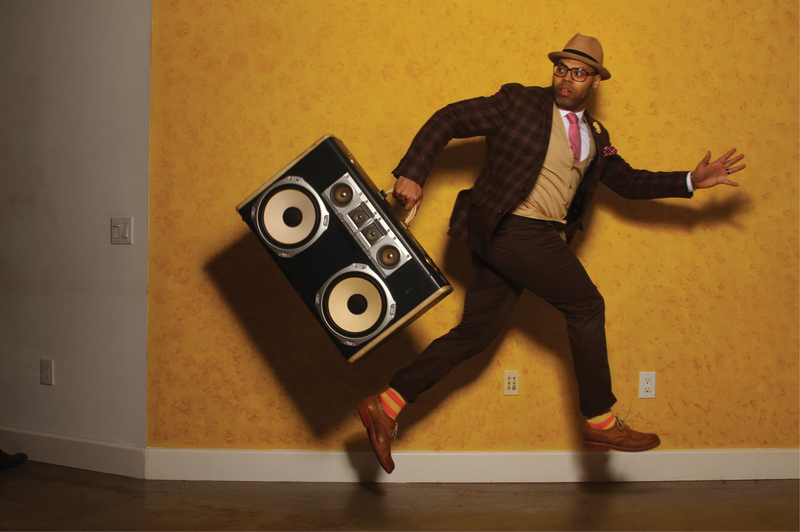 Grammy-nominated singer and songwriter ERIC ROBERSON will release his 10th studio album, The Box, on August 12th. With a 25-city tour and rigorous media and performance schedule, this ‘out of the box’ creative is ready to show the world what he has in store this time around. Eric has been dubbed “the FIRST singer to release an album independently” and his peers have unofficially named him a pioneer because of this feat. Eric is an amazing singer and performer but has written songs for and collaborated with such artists as: Jill Scott, Musiq Soulchild and DJ Jazzy Jeff. The Box pays homage to the first place Eric learned to appreciate music: at home. Eric comes from a musical family and his sister’s boombox AKA The Box quickly became the family centerpiece of entertainment. At first, he began to listen and study the musical sounds he was hearing and would sit in his room and flip through record after record of musical artists from different genres: hip-hop, gospel, soul, jazz, rock and whatever else he could find in the stack of albums. Different genres of music taught Eric about musicianship, songwriting and performance. The first time he heard Commissioned, he was emotionally moved by the lyrics. Listening and watching Stevie Wonder taught Eric about musicianship and production and Tribe Called Quest made Eric instantly say to himself, “This is the way music should be” at the age of 15. To this day, Eric still loves to incorporate a combination and mash up of all of these musical flavors he heard as a child with The Box. When asked what inspired The Box’s album cover, Eric says, “If you look at the picture I’m dressed in a mature and traditional way with my personal flair added to it…. but beside me I have a boom box. That’s the sound of the album. Mature with a b-boy flair. Fashion and music are two things I love and take very seriously. I want the viewer to see this cover as a reflection of the passion, effort and love that we put into the album and the maturity of its content”. The first single from The Box is “Mark on Me” which was inspired by the movie, “Boomerang,” starring Eddie Murphy. Follow Eric’s album release journey on social media. Instagram @erro44, Facebook and Twitter @IAmEricRoberson. « North American Tour of MOTOWN THE MUSICAL Is Box Office Gold! $20 Million in 16 Weeks at The Oriental Theatre!